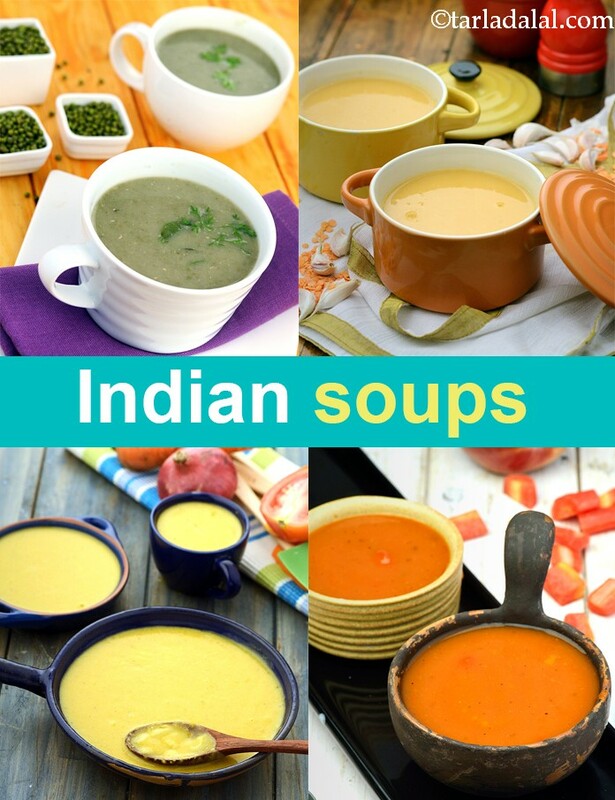 Quick veg soup is a simple and quick soup recipe prepared from a medley of mixed vegetables and seasonings. Soups are always considered healthy. This soup is literally healthy and also very easy to make. Every bowl of this soup includes all the vitamins and minerals needed for that day. A soothing, warming and delicious almond dill spinach recipe for any time of the year. A wonderfully comforting soup enriched with nutrients and antioxidants, the almond soup has almond paste, spinach puree and dill blended together with spices and cream. A Jain version of Tomato Soup without adding onion/garlic. Adding apple gives a sweet and tangy twist to this Soup. A shorba made with a different style. . . . This recipe is a wholesome soup , very high in protein and tasty too!